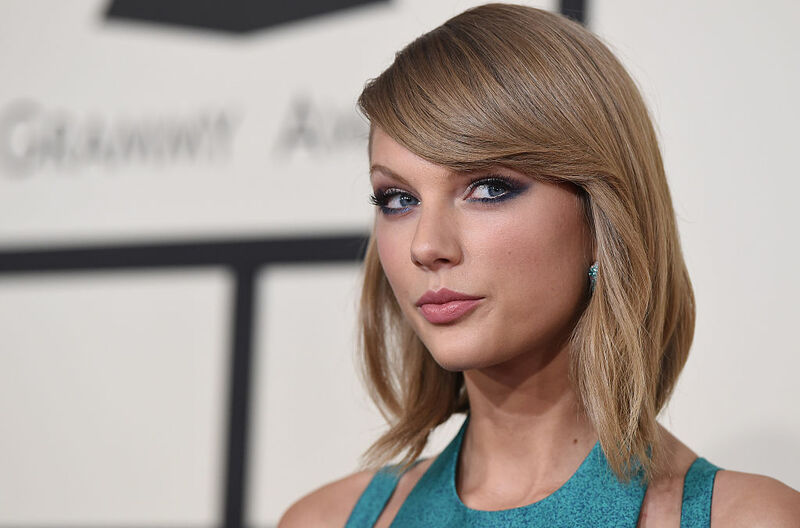 Ever since her high-profile break-up with Tom Hiddleston (RIP, Hiddleswift, we hardly knew ye), Taylor Swift has been doing what every newly-single gal, famous or not, is prone to do – hanging out with her BFFs and hitting the town. In particular, she’s been spending a lot of time in September out and about in NYC. And we can’t blame her – early autumn is the single ~best~ time of year to be in the Big Apple. Now, T-Swift is giving us fall #fashiongoals yet again, with the basic but super chic grunge-inspired outfit that she rocked yesterday. Swift hit the town wearing a black, white and maroon button down plaid shirt with the sleeves casually rolled up, pairing the cozy-looking shirt with a pair of stretchy black ankle-length jeans. She completed the look with basic black loafers with gold detailing and matching cross-body black bag. We love how comfortable yet fashionable T-Swift looks on her day out in the city. She’s dressed like any of us would out on a casual lunch date in the city with friends, with a grunge-inspired rolled-sleeves plaid shirt made chic by its super-flattering fit and pairing with basic fitted black jeans. She’s clearly a fan of the preppy look, and plaid in particular – she wore plaid outfits twice in one day back in the spring. Loafers are also clearly very on-trend this autumn. We spotted them on Jennifer Aniston when she rocked a similarly basic yet fashionable fall look earlier this week. Maybe that’s part of the reason why Taylor has been spending so much time in NYC – with the changing, chillier weather (something you don’t quite get in LA), she has ample opportunity to show off her killer fall wardrobe!